Why "BlackShire"? 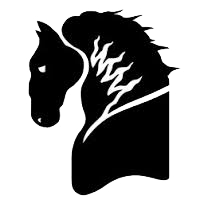 Our company has been named after a breed of horse, the Shire. Since the medieval times, this horse was used for the toughest and the most demanding jobs. During the middle ages in England, the Shire carried the heaviest armor. In times of peace, the Shire, with its great muscular strength, responded to the needs of farmers and merchants. It is known as a steady, hardworking and reliable breed. It is BlackShire's goal to serve you in the same manner. Like the true Shire, we are dependable, consistent, steadfast and unfailing. Don't believe us? Let us prove it to you.